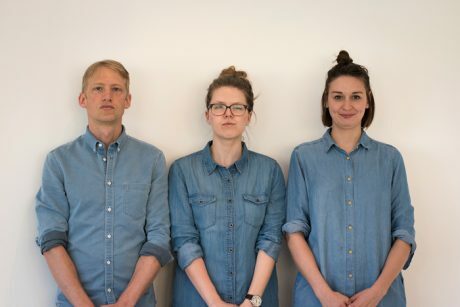 Denim is the new black. Or orange. Matt, Sæunn and Anna make one tough line up.